Made exclusively for Best Made Co. are the S.S.B. Japanese Chef Knives. Everything on these chef knives is made with impeccable precision and attention to detail. From the forged steel to the hand-scorched Shou Sugi Ban chestnut handle, quality is an understatement. If you aren’t keeping up with your Japanese knife lingo, Shou Sugi Ban is the centuries-old technique of charring and brushing the wood’s surface. It is traditionally used to weatherproof cedar siding on buildings, so when used in the kitchen it gives the Scorched Japanese Chef Knives resistance to water and heat, two main culprits of a cracked handle. If you thought that was precise, think again. The Aogami blue high-carbon steel core is wrapped in stainless steel surface layers that only expose this high-carbon steel at the knife’s edge. This provides higher hardness for long-lasting sharpness while the stainless steel layers improve toughness and reduce overall maintenance. 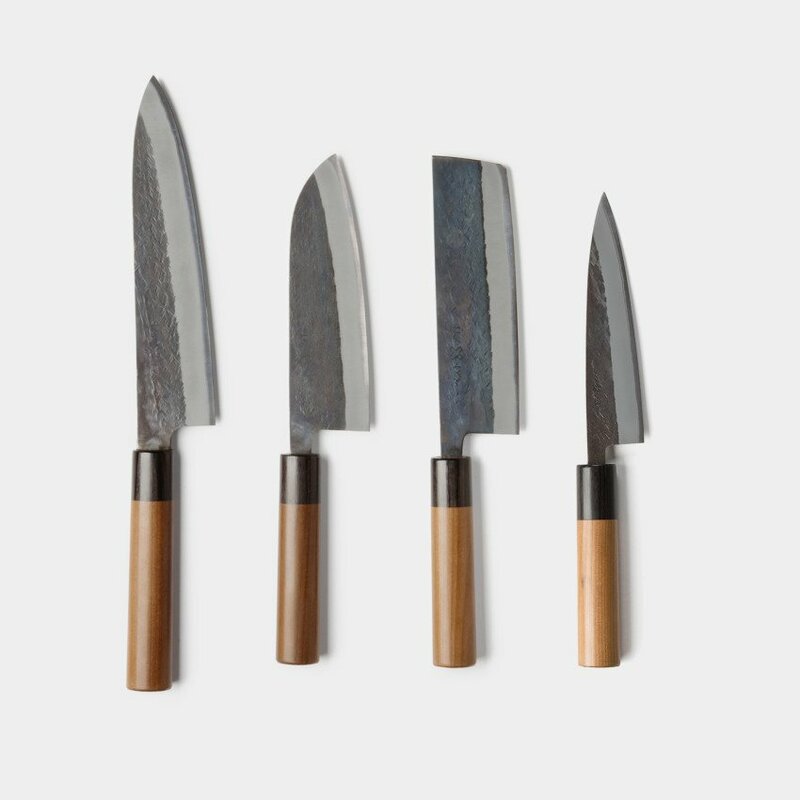 Choose from three different knife styles in the Gyuto, Santoku and Nakiri, or you can choose to purchase the whole set which includes an extra paring knife called the Petty.